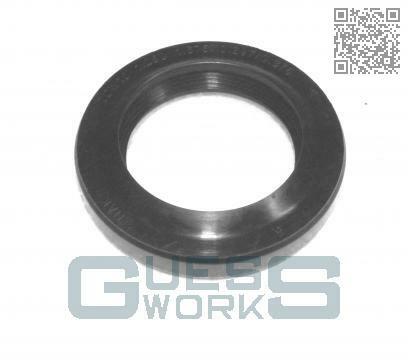 The seal which is one of the main causes of oil leaking from the gearbox. This is not included in the gearbox gasket kit AJM804B. Oil seeps past this seal when it has degraded and drips from the drive shaft.